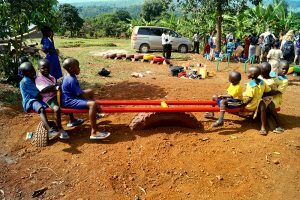 Primary school education is free in Uganda. However, there are too few government schools to meet the population’s huge demand, leaving rural communities neglected and without primary education. 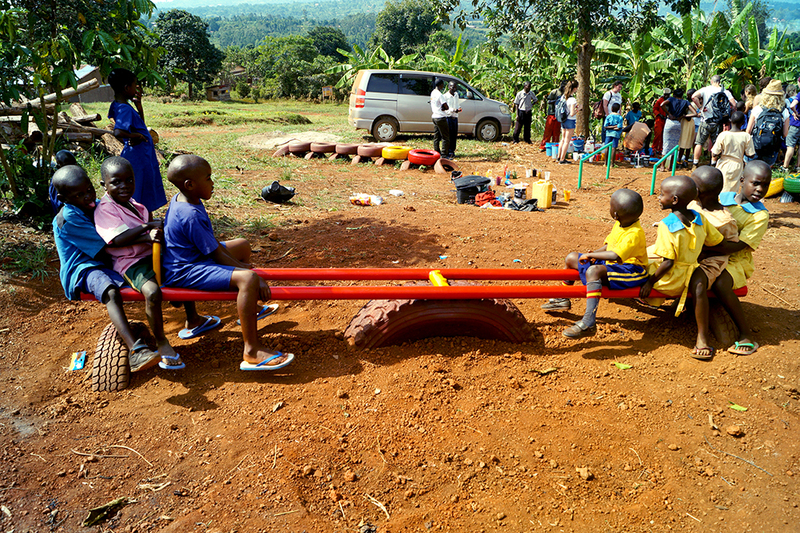 The Bugabira School is a rural community-run school that offers heavily subsidised fees, providing quality education for 300 disadvantaged children. The school is a place of smiling kids and enthusiastic staff, you have never met students so keen on learning! 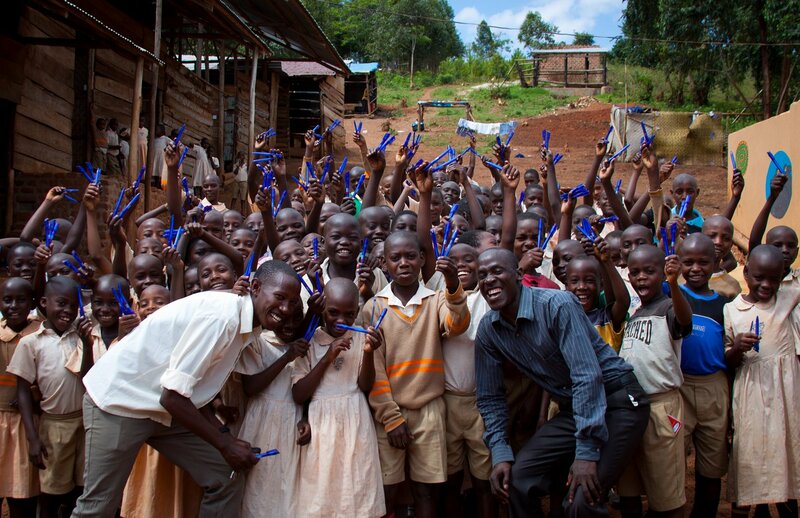 This amazing school has been a Uganda Marathon project since the very beginning. Through the marathon partnership and the incredible runners fundraising, so much has been achieved; a solar system has been fitted, a new block of school classrooms has been constructed, a freshwater well has been dug, a poultry project developed, a school kitchen constructed, a playground fitted and a girls bathroom made new. But there is still more to do with this pioneering project for them to hit their target of supporting 300 vulnerable pupils to attend school every year. For 9 more pupils to be sustainably supported to gain education under the school sponsorship program every year by the end of 2019. It costs £82 per term for a student to attend school. This is broken down into £55.50 for tuition fee’s and feeding, and £26.50 for stationery items and uniforms. Our aim is to help the school free up £738 every 3 months, which can be achieved through a two tear approach: by creating more space for students, and by reducing current overhead costs. The fundraised money will pay for a completely new dormitory and a staffing quarters. Currently, children are required to share one mattress between two, sometimes even three, and teachers are being housed at the school’s expense in rented accommodation. By building a new dormitory block and teachers quarters, the school can save £738 each term and create space for the new pupils to stay in comfort. On top of that, having teachers stay on site dramatically increases pupil’s safety and prevents lost teaching time as teachers will no longer be late because of poor weather. Children no longer sharing beds also decreases the spread of contagious diseases, reducing medical bills and children missing class. This school has seen so much development by the Uganda Marathon Runners in the past and it’s amazing to think that after this year, it will be able to achieve its original goal of supporting 400 pupils in total! Matovu Richard is a 17 year-old young lad, who has self-funded his entire education so far, by completing jobs for teachers and schools. However, last year he stepped out of senior 1 education so that he could support his 6 younger siblings through their primary education. By choosing to leave education, he was able to work for money and help pay for his 4 sisters and 2 brothers to attend school. But, because he was an exceptional student – he was head boy of his year and performed exceptionally well academically, his old head teacher Mrs Nakyanzi Sophie was looking for ways to bring him back into school. This is where Bugabira Primary school stepped in and through the recommendation of Mrs Nakyanzi Sophie, Matovu was hired to look after the 210 poultry chickens that the Uganda Marathon funded as an income generator for the school. 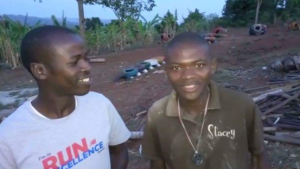 He now earns a monthly wage and has his food and accommodation covered by the school. This allows him to continue to support his siblings, as well as save for his own secondary education, which he aims to start again next January. Under Matovu’s 10 months watch, the chickens have matured and are now laying eggs that are generating an income for the school.